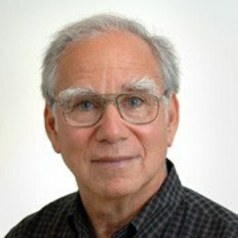 For the past twenty-five years Dr. Bernstein has pioneered methods to integrate public health into emergency medicine practice, developed and disseminated systems of emergency care that enhance health communications between providers and patients, and extensively tested a comprehensive model for intervention in which physician extenders help steer patients with preventable conditions to appropriate services. Over the past seventeen years, Dr. Bernstein has developed a body of NIH sponsored research to test the application of brief motivational interviewing to improving health communications and outcomes to reduce sexual risk behavior among ED patients with cocaine and heroin abuse, reduce adolescent alcohol and marijuana use and, in a 14 site Academic ED study, reduce at risk and dependent alcohol use. He also tested the Project ASSERT model, the nation’s first SBIRT program, in a trial of a brief motivational intervention delivered by peers to cocaine and heroin users.